We invite you to join us on Wednesday, March 20th, at Banchetti’s Banquet Facility and Grove starting at 5:30pm for our American Business Women’s Association-WNY Charter Chapter monthly professional development meeting. We welcome you to explore growth both personally and professionally, while networking with other women in business in the WNY area! AR Stylists, started by high school friends Alexis Staub and Amanda Cataldi in 2013, provides closet edits, wardrobe styling, and personal shopping services to men and women looking to enhance their individual looks. They are the first business to offer both of these services in the Western New York Area. Join us to learn how to spruce up your wardrobe! 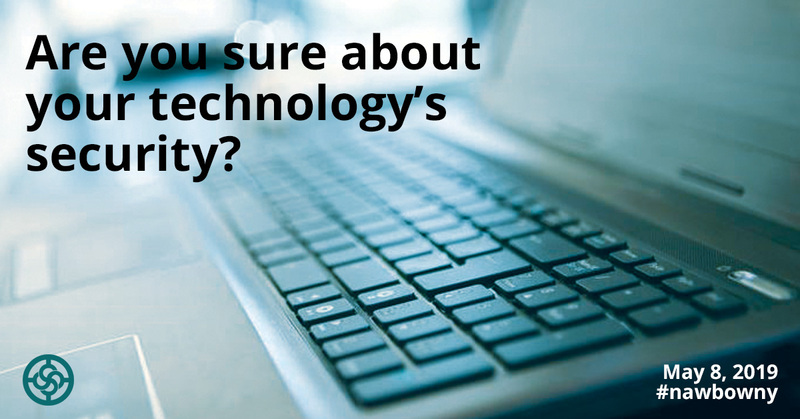 Are You Secure About Your Technology’s Security?